When I woke up this morning, I expected a day of quiet rest. After all, being a school employee, we have almost every holiday known to man off of work, and so we celebrate Lincoln’s birthday with a day of relaxation, and in my own case, visiting friends as well. So while the day itself may not change much for me, all of this certainly has me in a reflective mood. Seven years ago, just a few months after the election of the Holy Father, I was baptized into the Catholic Church. 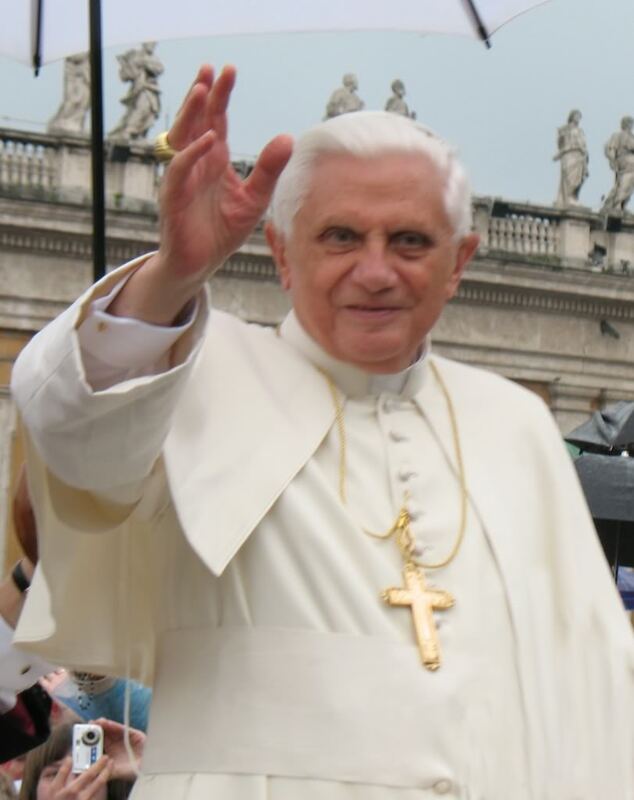 I took Benedict as my baptismal name for two reasons: the famous founder of western monasticism from the early medieval era, and the wonderful priest, Cardinal Joseph Ratzinger, who had just been elected to the See of Peter. Both he and his predecessor, Pope John Paul II, had been, and continue to be, a huge influence on my life of faith. Pope Benedict’s resignation shows great humility and trust in the Lord, just like the rest of his priestly life. The news may be a surprise, particularly since he is the first pope to resign in over six hundred years, but I believe that it is a good example for the rest of us. Sometimes life can throw unexpected curve-balls (Pope Benedict himself was expecting to have a quiet retirement before being elected to the See of Peter), but so we are called to live in those moments, trusting that the Lord has a plan in it all. All of this is also a lesson in humility: sometimes we must face the Lord, laying down our own will, or the will of others, and look at the greater good, seeking the will of the Lord alone. Sometimes that means difficult and courageous decisions. Through it all, however, grace is always present. Let us remember to keep Pope Benedict in our prayers over the coming weeks. We must also pray for the cardinals and the unenviable task that now rests before them in electing a successor to this faithful man of God who has served in the Chair of Peter. Finally, let us pray for Pope Benedict’s successor, whoever that may be, that he will approach his new task in prayer, humility, and fidelity to the will of God. May we all be so humble and faithful to the Lord. Thank you Papa Ben for your witness to Truth! Viva il papa! !